We’re doing this right again! Some of the time ours will read like a Nollywood script. Complete with that section where a distress housewife of some remote village prepares poison to tame her Co_wife, tests it’s concentration on herself before administering, doesn’t die but the targeted victim drops dead from the concoction’s smell! The things I see in this our land and Nation, God just come on foot by yourself. Kenya lately has been on a turmoil. Political turmoil to be specific that has ground entirely everything as all and sundry look forward to the repeat presidential election. We don’t entirely have to revisit everything per see but all you guys remember the charged campaigns. The highly anticipated August Eighth elections. The outcome. The historic landmark supreme Court ruling and the idea that all of us are literally scratching for answers. Today, it doesn’t matter who was right or wrong – for the families of the 250,000 Syrians that have lost their lives, and the 11 million who are living as refugees. It doesn’t matter whether their leaders will get “full bread” or “nusu mkate” when the conflict is over. If your child is dead, your home is destroyed, or your livelihood is shattered, all the talk about the size of bread is meaningless. In the midst of all the chest-thumping that is happening in our midst, it’s easy not to notice our unfolding tragedy. From conversations that take place around me, I get the feeling that our nation is suspended over a precipice, and that it is dangling by a slender thread that shows every sign of snapping. Every day I listen to conversations of war, conversations of ethnic profiling, conversations of police brutality, and conversations of secession. On social media, I have seen conversations praising police killing of members of a certain community; conversations about how certain communities are good fighters, and how others cannot fight at all; and conversations about which communities should be wiped out. 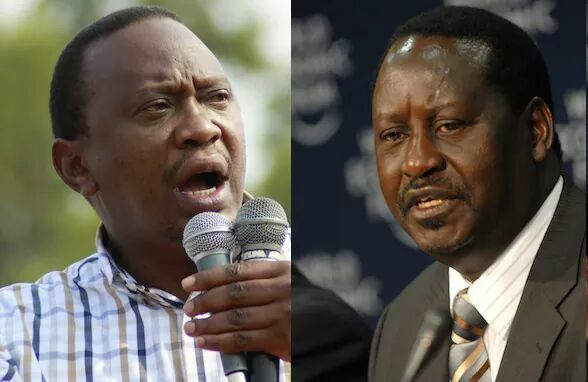 On national TV, I have watched the President and Raila Odinga take part in the conversation (The President saying “sisi sio waoga” and Raila Odinga defending one of his allies who had advocated for violence). On vernacular FM stations I have heard popular presenters asking their viewers to get ready to defend their communities. From parliament, I have heard conversations about how communities will perform in the coming war – based on pre-match contest between Jaguar and Babu Owino. I have also seen a respected senator take part in this conversation. His exact words were “Kama mbaya, mbaya. Wacha kiumane”. I have heard a governor and MP from his county participate in this conversation: the governor asking members of communities that did not vote for a certain candidate to vacate that county, and the MP donating machetes to his followers. 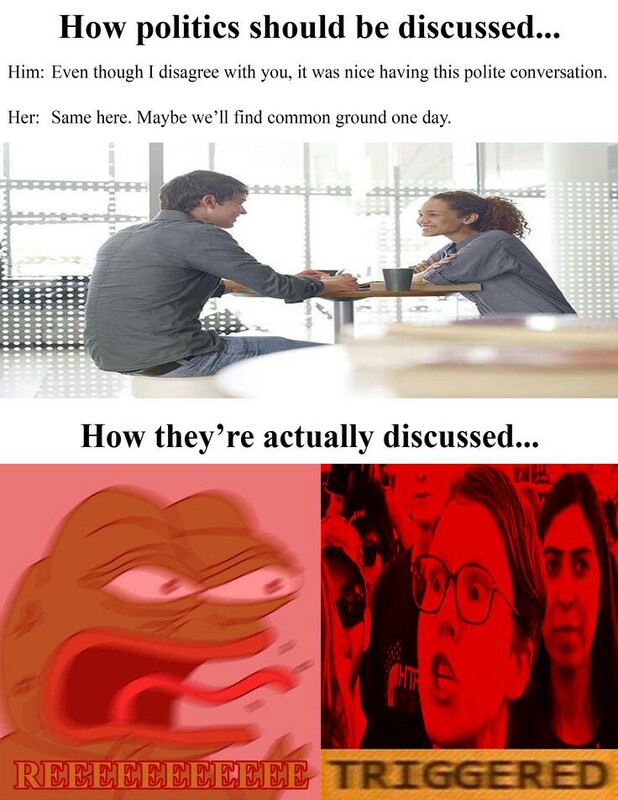 These are conversations that take place moments before nations step into the slippery slope from which there can be no turning back. These are the conversations that took place in Somalia in 1990. They are the conversations that Syrians were having in 2011. Such conversations cannot be stopped or changed by an election, police action, or legislation. We must first be bold enough to admit that Kenya has a serious problem and that it is a problem for which we must find urgent but lasting solutions. • Triggered widespread violence in different parts of our country in 1992, 1997, and 2007. • Made thousands of people to flee back to their ancestral homes a few weeks before the August 8 general elections. • Makes some people say they want to secede. It is this problem that has now reared its ugly head form of an electoral dispute. Unless we do something about it, sooner or later we will be forced to say goodbye to Kenya – as we know it. The reason I wrote this piece is to ask us – the ordinary people – to start our own conversation. It is a conversation which I hope will force our leaders to prioritize the development of a permanent solution to the “Them Vs Us” problem. When our leaders say “our communities will fight”, they don’t mean them and their children; they mean us and our children. It is our children who will lose lives, forfeit education, and forego a future. If we lose our country, they will fly their families to European capitals. Their children will go to the same high-cost schools, they will play golf in the same high-end clubs, and they’ll take holidays – to exotic destinations – together. In the meantime, the rest of us – irrespective of tribe – will probably be sharing the same crowded tent at a refugee camp in Somalia or South Sudan. Please share your views with love (without anger, acrimony, or abuse). Injustice is like a revolving door. Those who are in it this time will be out next time, and those who are out will be in. Everyone asks “will there be elections?” No one knows whether the answer is No, Yes or Maybe. Like that first picture depicts, this one is been like a wrestling match . 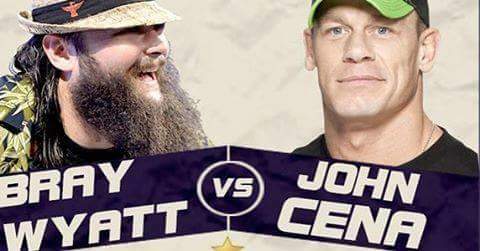 A bray Wat verses John Cena affair. No let’s use boxing. That evening Mayweather was poised to battle it out with MacGregor and everyone looked like they knew who was going to win but nobody was willing to pronounce who. Because MacGregor at 29 and Mayweather at 40, each looked like they hid on their sleeves game changer comeback tactics. Just like them, Uhuru and Raila hides in their pockets comeback plans. They are determined as hell to keep us glued to their ego clashes as our otherwise prosperity hang somewhere in between hope and despair. Among other not so good options Uhuru silently says he’s poised to sign into law that controversial amendment to the electoral laws that allows the deputy to take up at IEBC just in the possible case that the chair bows to pressure. Such that elections go on on Thursday whether the gods are happy or not. Raila on his side says the sovereign power lies with the people and he will continually ask the said people to hit the streets harder to ensure the Thursday fresh presidential polls flop. He continues to preach boycott and offers to give further guidance by Wednesday which is the polls eve. This one is a tricky kind of scenario. The country will continually divide at the mid half like no one’s business. Leaders will push their silent agendas behind sneaky calls for prayers and peace and boycotts. The economy will hurt. The international community will seat on the fence appearing like they are supporting neither of the side but some of the side anyway. It will be the worst in history. In the mid of this whole fiasco there are three key players. Sadly their gods have served them the exclusive monopoly of sticking to their hard line stances as the rest of us spectators grapple with choosing which side of the coin to toss. The side of the coin that we toss further subdivides us ending at “them vs Us.” IEBC, Jubilee and NASA can choose to call this whole disagreement thing quits. But they have chosen not to for reasons only know for them. By choosing not to agree, they have intertwined us on their man made mess. Whether we vote or not is not the question. The question rather is the kind of plunders we are horribly staring into ahead. Uhuru under his Jubilee with his millions of supporters might be right just as they might be wrong on all or a couple of issues they raise. Raila under his NASA with his millions of supporters might as well be wrong just as they might be right on all or a couple of the ‘irreducible minimums’ they front. But Kenya might be needing just one thing, progress. One is tempted to ask “where and when did the rains start beating us?” And history has it in itallised bold that our elections have always been a matter of contention time immemorial thanks to the decisive politics propagated by those in power. Currently we are faced with the mother of all disasters. We have the option to solve it once and for all or play allegiance to the now ageless proscastination that we’ve always induced. Such that only serves the power hungry status quo. As a country we have to decide and our decision or lack of it will make us or break us! Our living rooms have morphed into battle grounds at evening time post news debates with lawyers getting personal on each other trying to substantiate what Odinga withdrawal for example means. They will argue and shout and rant wanting to sound politically neutral but end up exposing their skewed political standings. Miguna Miguna will call people names and use words as bombastic as demagogues. Social media will Crack deeper towards the core middle. Jubilee and NASA sycophants will cling on the cracks angling for the elusive cliffs. The political temperatures will heat further threatening to sappass melting point. No agreement will be reached. News time will read like horror movies. The 26th October date will remain unmoved. I happened to read this month’s Forbes Magazine edition (October 2017) and some writer viciously wrote about Kenya. In his own wisdom, he says the journey might be long but eventually, Kenya will fight!😢 I recommend you grab a copy of that story. But most Importantly I recommend you tell a brother to tell a friend to tell a friend to tell a friend that we have an elephant of a task to prove that writer wrong by not letting history judge us harshly. We must overcome! Wow! We definitely need to get this viral! (Every other country? Really?). On which planet, exactly, do “lib professors” ignore other instances of slavery throughout history?